Capturing or recording video isn’t a difficult task anymore. The real magic lies in presentation of your video which needs a powerful video editing software. To know which video editing software is the best to use, you have to look at the features that the video editing software offers and what you need. Having lots of features doesn’t necessarily mean that the video editor is the best for you. In fact, that could be the opposite of what you need. Too many features make the video editing software complex. For a newbie, using such video editors will require intensive research and learning. Of course, you are in a hurry and you need something that responds in binary. That’s where the simplified video editors come in. Don’t take it the wrong way, however. Complex video editors like Adobe Premier can produce outstanding outputs. If you have the knowledge on how to use these software programs, you shouldn’t forgo them. It is clear that not every video editor is the best for everyone. This article will highlight the best video editing software for Windows 10 and highlight the various features, including their pros and cons. Encoders are the plugins responsible for the conversion of videos from one format to another. The existing ones are regularly improved and updated while developers work on new ones. Let’s take, for example, you are trying to edit and compress a 4K video. An ‘h.264’ encoder might not be the best one to work with because of the final file size. A more robust ‘h 265’ encoder in the best in this case. As mentioned earlier, the complexity of the work you are trying to do should determine which video editor should be used. It is not advisable to use complex software for a simple job if you are a beginner. Some of the best video editors require high-end computers to function. You should choose a video editing software that can be able to function on your computer without lag for quality output. There are also some video editors that will not work on certain operating systems. Movavi Video Editor Plus is a feature packed video editor for both Windows 10 and Mac. It’s simple enough to have lower learning curve for a beginner and advanced enough for production of high quality professional videos. The features are simplified to make them usable to all of the consumers, no matter where their video editing experience lies. Movavi Video Editor Plus has completely outdone other software programs that lie in its price range. Simple GUI – It has almost no learning curve. Price is reasonable and within the reach. Value for money! Most of the good features come with the premium upgrade. Read Movavi Video Editor Plus Review or buy using Movavi Video Editor Plus Coupon and save 50%. If you are satisfied with the experience of Movavi, consider using Movavi Video Studio coupon which gives you access to 8 video tools in single product. Shotcut is yet another one of the best video editors for Windows 10, MacOS and Linux. The video editor also has lots of great features which are packed into a small program. Shotcut supports a wide array of video formats. You can be able to work with most of the video formats that are currently available. Even though it is a small program, Shotcut can be able to produce UHD videos after rendering. You no longer have to trim down the size of 4K videos in order for you to edit them. To sweeten the deal even further, the developers of the software made it as an open source program. This means that they have given the public a pass to improvise the code and make it better. If you want to take your expertise to the next level, then DaVinci Resolve Studio is the best video editing software for you. 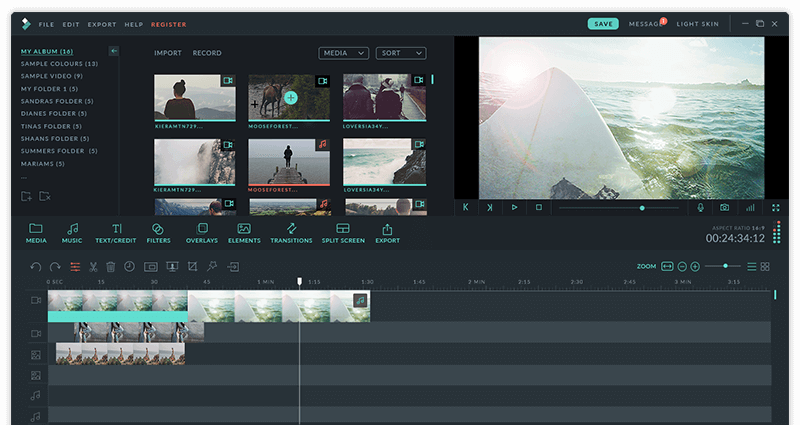 It’s the go-to product if you’re interested in powerful, professional-level video editing, with features like timeline-based editing, keyframes, advanced media management, plugin support and more. The video editing software itself is incredibly advanced hence gives off some of the best video outputs you could ever have. It also gives you the ability to insert 2D and 3D titles in your videos. The color correction feature delivers outstanding results. It is complex to use hence a person requires specialized training to make most out of it. Power director is a video editing software developed by CyberLink; a company that has been in the industry for quite a while. Over the years, the developers have been able to improvise the software time by time, making it one of the best video editing software in the market. You can either purchase the full version with an unlimited license or purchase the premium features every year with a lower price tag. The premium PowerDirector offers UHD video editing with unlimited time. You can, therefore, work with large files without file splitting. It has all the advanced features which you’ll need. Support for 360 degree videos. Advanced video editing tools offer less flexibility. Adobe Premier is most powerful among all the others in the list but at the same time, most complicated and expensive. This is the reason we listed it at #5 position. With Adobe Premiere, it is a guarantee that you will be capable to achieve anything with its numerous features. It is perfectly suited for someone who wants to make living with editing business. It’s really advanced hence gives you more power and control. Cost outweighs functionality if you know what you are doing. It is meant for professionals as it is super complex and has a hefty price tag. Blender is a well-known 3D animation software which is used by game developers as well as directors. Don’t worry, you do not have to learn all about animation. 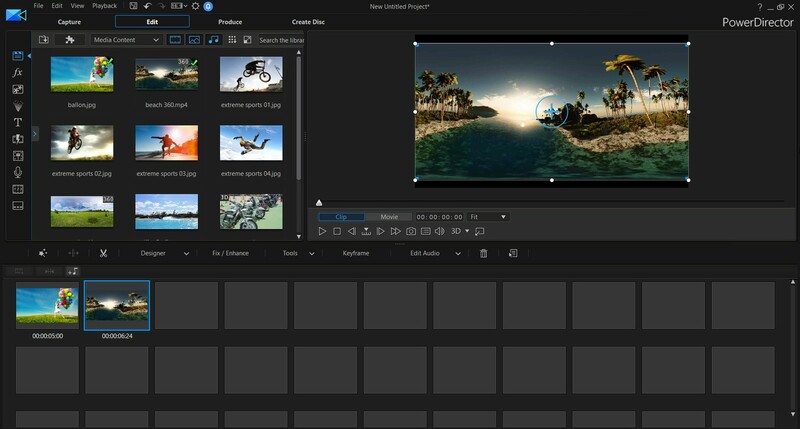 The software itself has a video editor that can be used to edit videos as any other program. It is also open source. This is why the animation software has advanced to be the best video editing software in a short period of time. Since Blender was made for creating animated content, you should not expect many professional features from it. Perfect for animations and post-production. Learning curve is pretty steep. Filmora is a video editing software provided by Wondershare. If you have been using video converters in the recent past, you must have heard about the company once or twice. Wondershare specializes in video production software and has strived to make Filmora the best video editing software in the market. It offers a special green screen effect together with a dozen other great features for video production. What makes HitFilm Express one of the best video editing software for Windows 10 is not its features, but its versatility. The video editing software can be able to edit almost all the video formats available. With a significant number of features, HitFilm Express gets you where no other compact video editing software can. Exporting videos to 720p for Youtube. There are also a lot of other cool features that come with the pro version. For example, you can only receive an output of 4K at 60p with the pro version only. Microsoft Photos is labeled as the best video editing software for Windows 10 as it comes preinstalled on Windows. The Software provides some basic features you need to make a video out of photos and clips. The program is preinstalled on Windows 10 hence its optimized for us on the operating system. It is readily available with all its features at no extra cost. It is pretty basic hence can only do so much. It may not be the best video editing software to use when you are creating something professional.